Players take it in turn to remove the sticks one at a time hoping that none or as few balls as possible fall when the stick is removed. 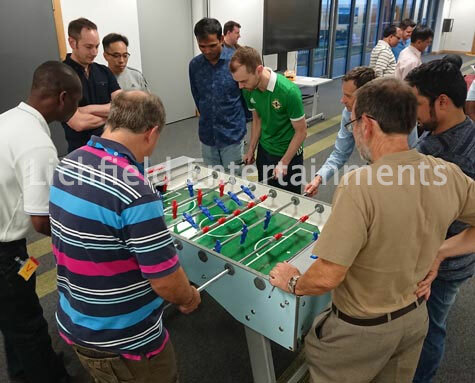 The player with the least number of balls at the end of the game is the winner. 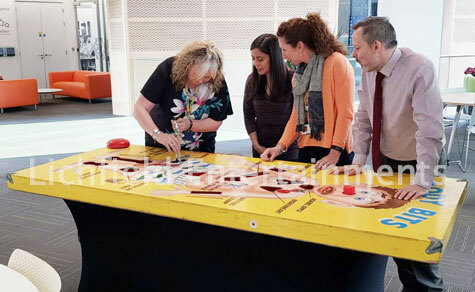 Players take it in turns to try and remove the various body parts without touching the sides and sounding buzzer/illuminating the patients nose. 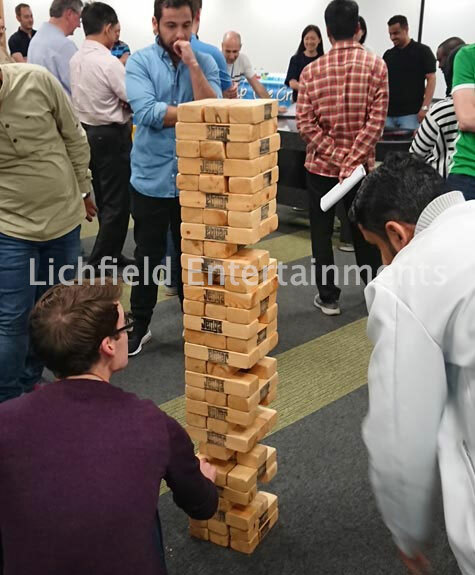 The player with the most body bits at the end wins. 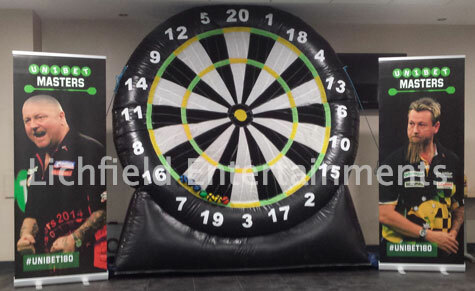 A giant 6ft diameter inflatable dartboard standing 9ft tall. 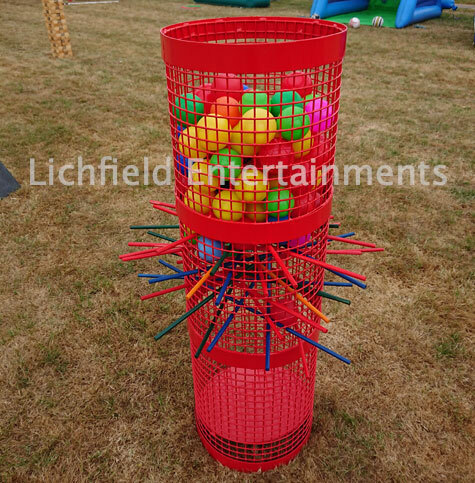 Players have three velcro balls to throw and score as many points as possible. 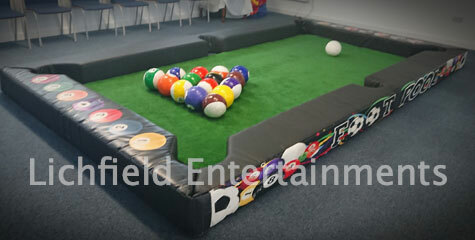 We also have Giant Football Darts available in both 15ft and 27ft versions. 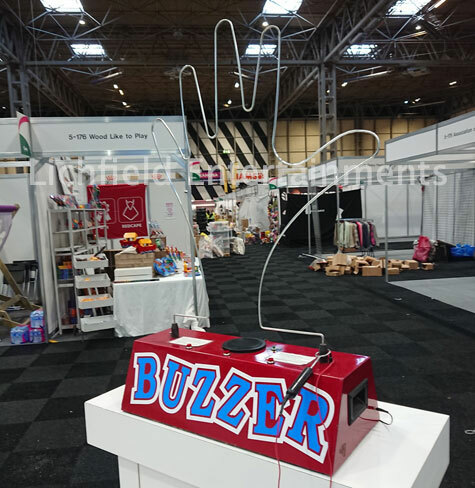 We have a range giant buzzer wire games for hire ranging from large table top versions to floor based 10ft long versions. 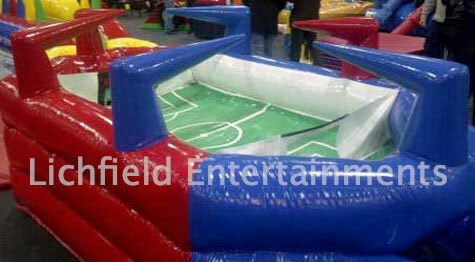 Footpool is a giant cross between football and pool and can be used for both indoor and outdoor events. 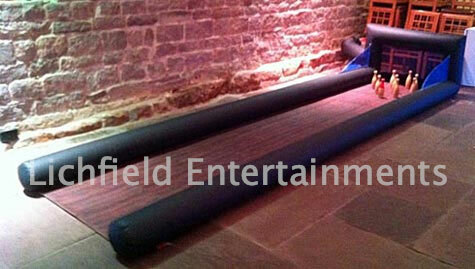 The same rules as pool apply but the balls are kicked rather than using a cue. 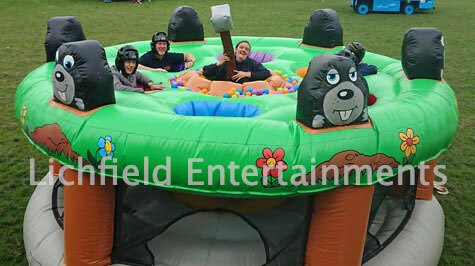 This is a giant human version of Whack a Mole. 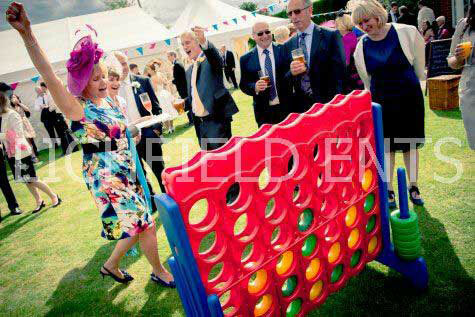 Who can collect the most balls while avoiding being struck over the head by the gardener in the middle? 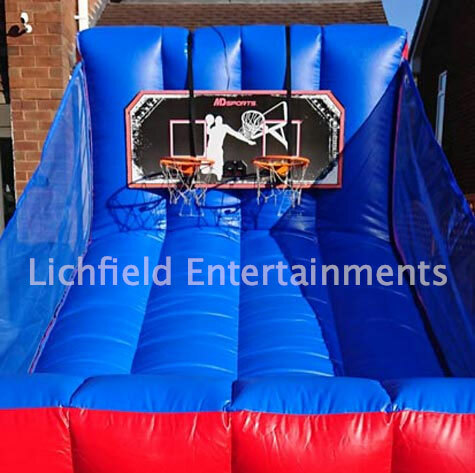 Like most of our giant games this can be used both indoors or outside. 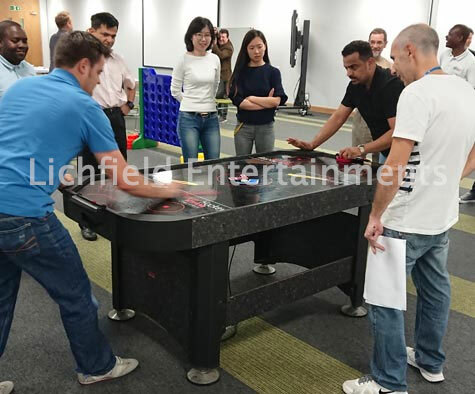 Double Hoops, two player, Basketball Challenge, six player Blow Football, and the frustratingly addictive Air Juggler games. 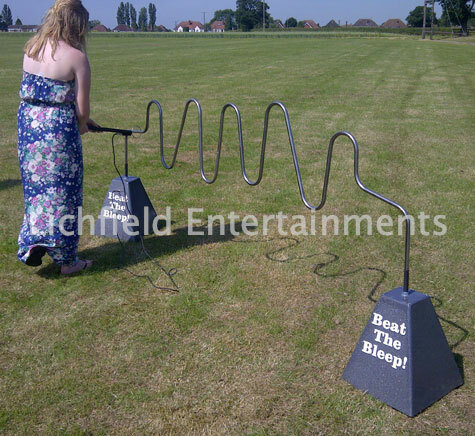 Why not also take a look at our Reaction Speed Games, Racing Simulators, and Ball-Nado games. 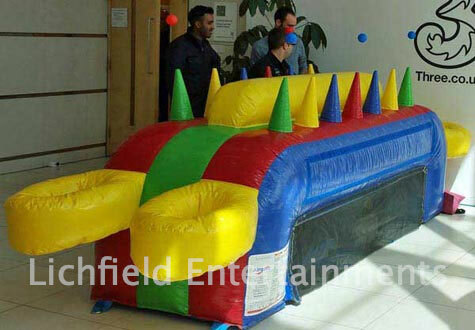 If you have any queries, questions or would like to hire the giant games for your event, please click here to enquire and we will do all we can to help.